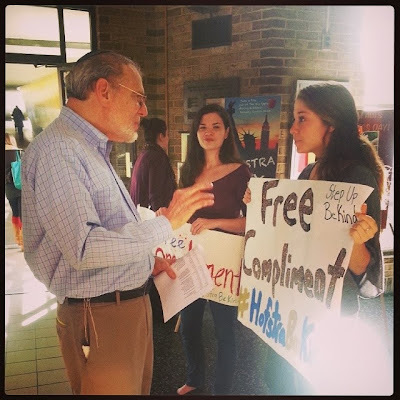 Hofstra Pride Guides: Random Acts of Kindness Day! Yesterday at Hofstra was Random Acts of Kindness Day, which was given its title by the Hofstra Newman Club! 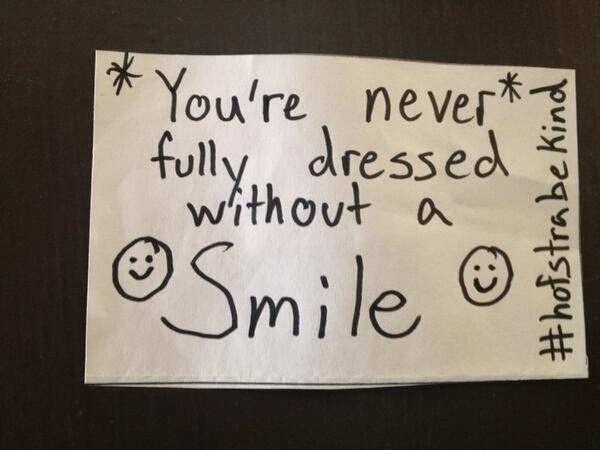 This day was just serving as a reminder to everyone at Hofstra that you can be the reason someone smiles that day, no matter how small the gesture! 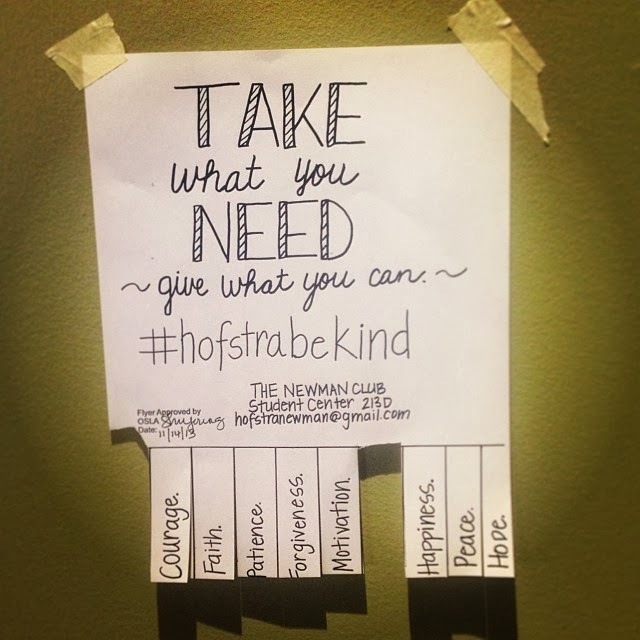 All day, Hofstra students were spotted are doing all kinds of good deeds such as buying coffee for the person in line behind them, giving up their parking space, sending roses to brighten someones day, and also by leaving many little notes of encouragement throughout heavily-traveled areas on campus! Check out these pictures to see just what type of kindness our campus experienced!